Healthcare information technology and privacy advocates generally approve of last week's announced selection of Joy Pritts, a Georgetown University researcher and lawyer, as the nation's first chief privacy officer, or CPO, within the Office of the National Coordinator for Health Information Technology. Pritts' first day on the job was Feb. 16, said her new boss, David Blumenthal, who heads the ONC. The announcement came just as time was about to run down to a statutory deadline for the appointment. The position was created by Congress in the American Recovery and Reinvestment Act of 2009, also known as the stimulus law, which required the HHS secretary to make the appointment of a CPO within one year of enactment. 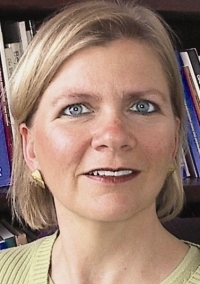 Deborah Peel is a psychiatrist who founded Patient Privacy Rights, a not-for-profit organization based in Austin, Texas, which advocates for increased patient privacy protections in the digital age. Because the appointment is coming nearly a year after passage of the stimulus law, Pritts will be playing catch up in providing advice to federal policy makers. Defining privacy, and whether that includes—as the NCVHS concluded—the right of a patient to control electronic access and sharing of his or her information, is virtually guaranteed to be one of the most contentious issues Pritts will face. Peel predicts that Pritts will be lobbied hard by health insurance and pharmaceutical industry data miners who maintain commercial access to patient data, Peel said. Donald Mon, vice president of practice leadership for the American Health Information Management Association, said he has met and worked with Pritts over the years in healthcare IT standards development groups and at a federally funded Health Information Security and Privacy Collaborative. Mon also said Congress came to the right decision in creating the position of CPO. Mon also said Pritts will have her work cut out for her. “The industry still has some confusion about consents for the disclosure of information and the authorization for the release of information. Different states call it different things, so you have to figure it out,” he said. Under HIPAA, the definition of other healthcare operations is quite broad and originally provided a broad prohibition against disclosure since patient consent was at first required before disclosure even for TPO. When the HIPAA privacy rule was amended during the Bush administration in 2002, however, consent no longer was required for disclosures for TPO. So, the broad definition of “other healthcare operations" created a wide loophole in HIPAA privacy protections, except where more stringent state privacy laws trump them, as they are permitted to do under HIPAA. “Under HIPAA, you don't need consent for release of information for treatment, payment in other operations, but in New York, you have to deliberately obtain that consent for TPO,” Mon said. Variations in state privacy laws are an area of expertise for Pritts. In 2009, Pritts conducted an HHS-funded study of state privacy laws affecting the movement of electronic laboratory results and their implications for health information exchange. Her report was released in October 2009. Pam Dixon, founder of the World Privacy Forum, Cardiff by the Sea, Calif., also foresees that Pritts will face tremendous pressure from health industry data users. Dixon, who serves as co-chairman of a California advisory panel on IT privacy and security to the state's health information exchanges initiative, said the conflict between data users and privacy protectors “is already showing up profoundly at the state level. The stimulus package is already putting pressure on privacy and security. The CPO “has to hold this together and really, really represent the consumers' interests", Dixon said. "I do see some indications from HHS that they need to take privacy and security seriously; that if this system gets built and patients don't trust it, it will all be for naught. “They need to give this person real power to put patient's interest first, not industry's interest first,” Dixon said.